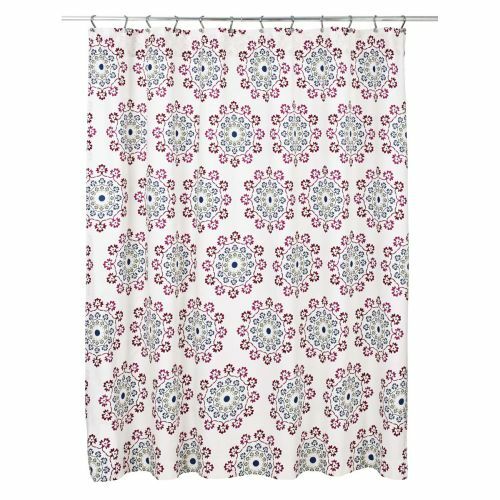 VHC Antigua Shower Curtain , Available Now! 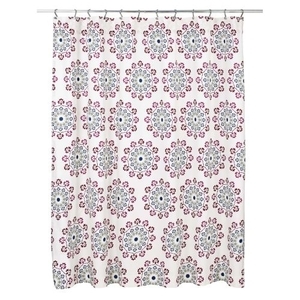 Make a design statement in the bath with the Antigua shower curtain. Colorful and fun, Antiqua showcases enlarged medallion prints in magenta, bright lime, rose and blue topaz on creme all-cotton voile.